Ryan Blaney and the No. 21 Motorcraft/Quick Lane team turned in another strong playoff performance in Sunday’s AAA Texas 500 at Texas Motor Speedway, finishing sixth and scoring a total of 42 points. 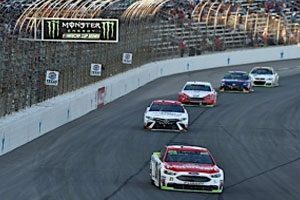 It was another example of the determination the Motorcraft/Quick Lane team has shown in the extremely competitive Monster Energy Cup playoffs. Sunday’s race was the fifth top-10 finish in the eight playoff races to date for Blaney and the Motorcraft/Quick Lane team. And it was their second-best points performance in the playoff, just behind the 44 points scored at Kansas Speedway. 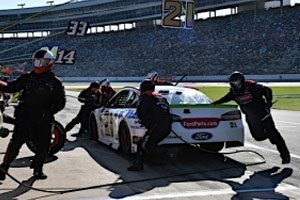 At Texas, Blaney and the team went after stage points in the early going and scored a total of 11 stage points due to finishes of eighth and third in the first two stages. After starting eighth, Blaney raced in the top 10 for almost all of Sunday’s 500-miler and in the top five for much of that time. His pit crew was flawless all afternoon, and Blaney did some masterful driving, including saving his No. 21 Fusion from damage during a near spin just after the end of the second stage. “We didn’t start off very good, and we got really good towards the middle and had one run where I was super loose towards the end,” Blaney said. “I gave up like five spots. I got real loose and that was unfortunate, but we got our car a little bit better at the end. Despite finishes of sixth and eighth in the first two races of the Round of Eight, Blaney and the Motorcraft/Quick Lane team find themselves in a must-win situation heading into next week’s Can-Am 500 at Phoenix Raceway. With three drivers already assured of being among the four who will race for the title on Ford Championship Weekend at Homestead-Miami Speeedway, only one spot is available to the other five drivers, including Blaney. He enters Phoenix sixth in the standings, 22 points behind the cut-off for advancement to Homestead. “Obviously, we need to be really aggressive,” he said of his team’s approach to Phoenix. “We need to go try and win the race. That’s really the only thing we can do….